The accumulation of pharmaceuticals in the environment is a growing concern, the magnitude of which has not been determined, yet cannot be ignored. Touting the benefits of research and discovery as it relates to a pharmaceutical presence in the environment, Pharmaceutical Accumulation in the Environment: Prevention, Control, Health Effects, and Economic Impact explores ways to effectively minimize the harmful impact of environmental contaminants. It considers current practice in the field, provides a historical reference, and presents effective methods for detecting and containing low levels of environmental contaminants. It also offers practical suggestions for mobilizing private and public resources. The contributors of this work consider important environmental contaminants that include pharmaceuticals, personal care products, and special products, such as contrast agents and illicit drugs. This book describes current health impact concerns, methods for assessing risk, and lessening the negative impact on health through research and analysis. It examines the costs of wastewater treatment, and considers ways to potentially reduce the effect of environmental contaminants in treated water and in the soil. It looks at what may be done about contaminated soil and landfills, addresses the costs of contaminant elimination, and suggests ways to get rid of contaminants sensibly and consistently. It also includes case histories and chapters authored by specialists who are experts in their fields. 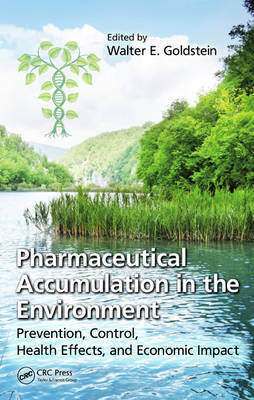 Developed as a reference for professionals and senior undergraduate and graduate students in environmental science/ecotoxicology, the text proposes advancements and applications that can help control pharmaceutical accumulation and improve the environment. It serves as a resource for those in the pharmaceutical industries, personal care product industries, and related areas; scientists and researchers in related areas; as well as environmental protection agencies, physicians, and medical personnel. The accumulation of pharmaceuticals in the environment has been an issue of continued concern... The present title reflects the magnitude of the problem that requires further attention and research efforts. ... the text proposes advancements and applications that can help control the accumulation of pharmaceuticals and improve the environment. It serves as a resource for those in the pharmaceutical industries, personal care product industries and related areas; scientists and researchers in related areas; as well as environmental protection agencies and managers." "... offers a largely American perspective on the problems of pharmaceuticals in drinking water. One of the key issues addressed is the health impacts of pharmaceuticals, including antibiotic resistance. ... a very timely addition to the literature on this topic. It provides a complete overview of the presence and fate of pharmaceuticals in the environment, their health impacts, and environmental risks posed by them, and proposes remediation technologies for removing pharmaceutical residues from wastewater. The book is written by well-known experts in the field."